Karlsson stands for good quality, unique shapes and progressive designs and is known worldwide. For a radiant object on the wall you could opt for this sunny version that is finished with shiny clear crystals. Available in two models. In Karlsson's range you have modern, innovative models as well as timeless models. Each version is made of quality materials and Karlsson does not shy away from using different materials, giving each clock its own unique style. 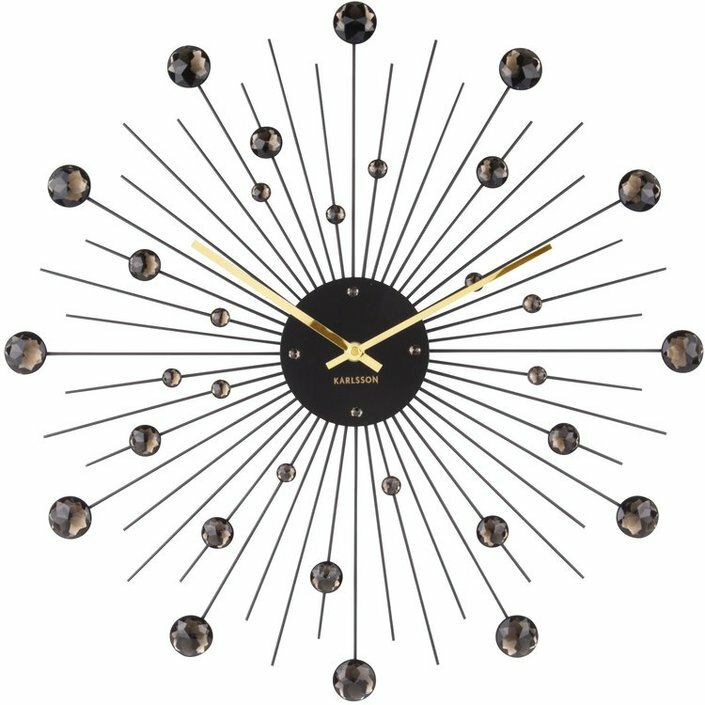 The variety has ensured that there is a clock for everyone, from young to old, for every taste and style, in every interior. 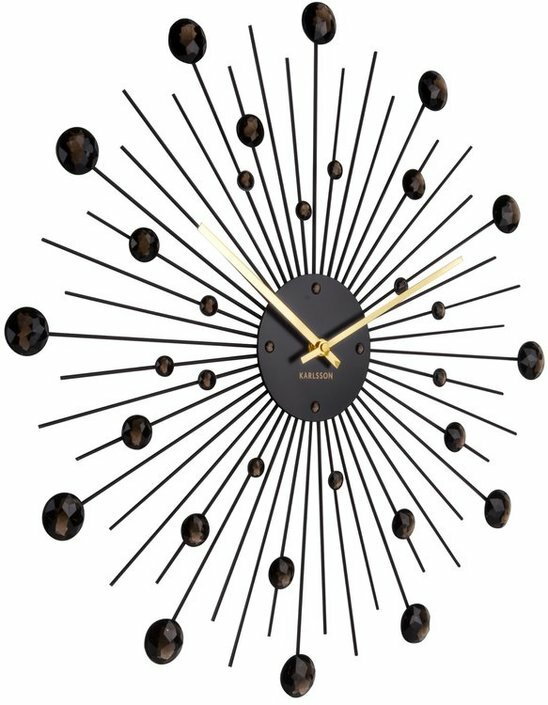 This is a lovely clock, we have the larger, gold-coloured version, and it's better in real life than it looks on any of the websites. We're really pleased with it and very happy that we bought it. The decorations on the clock are multi-faceted and veer between gold and amber, depending on the light. Although there are no numbers on the face, it's easy to tell the time. It sits well and, despite the battery housing on the back, there is very little distance between the clock and the wall. We took a long time choosing a clock but eventually decided on this one and are glad that we did. In which room do you use the clock?